SpatialKey is built around the concept of sharing information with multiple users in your organization. 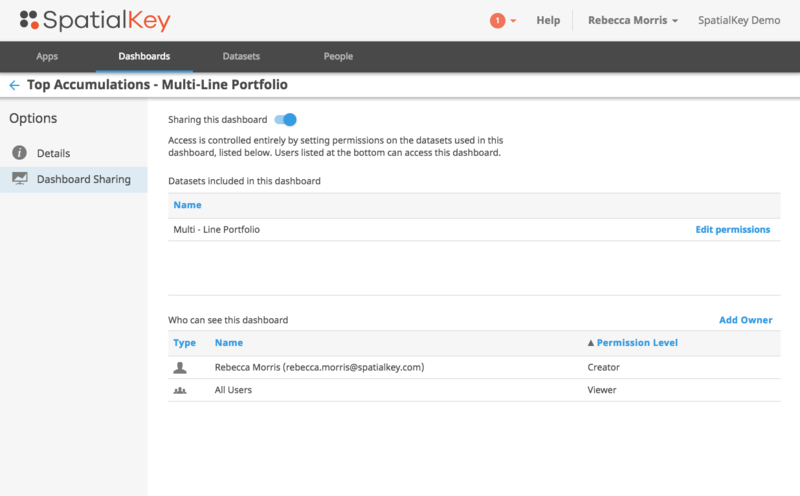 You can share data and dashboards within SpatialKey and can also share reports with users outside of SpatialKey. 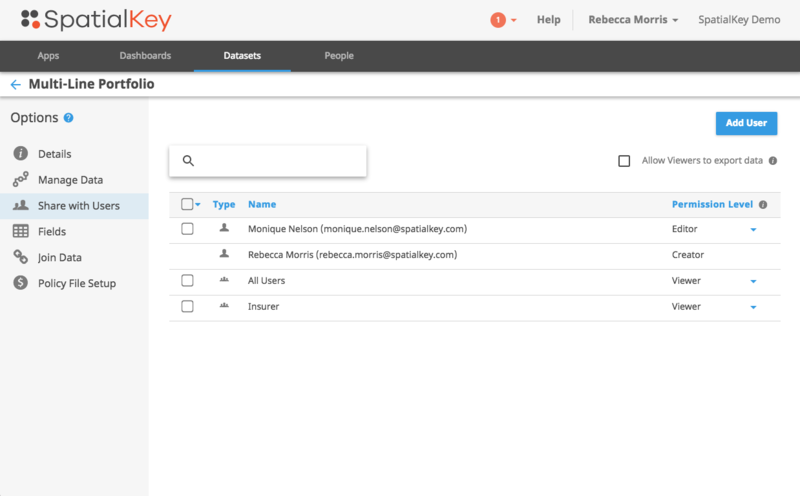 Sharing data with others in your organization has never been easier. To begin, select the Datasets tab and find your dataset. Click on the gear icon to view data settings and select the “Share with Users” option on the left side of the screen. 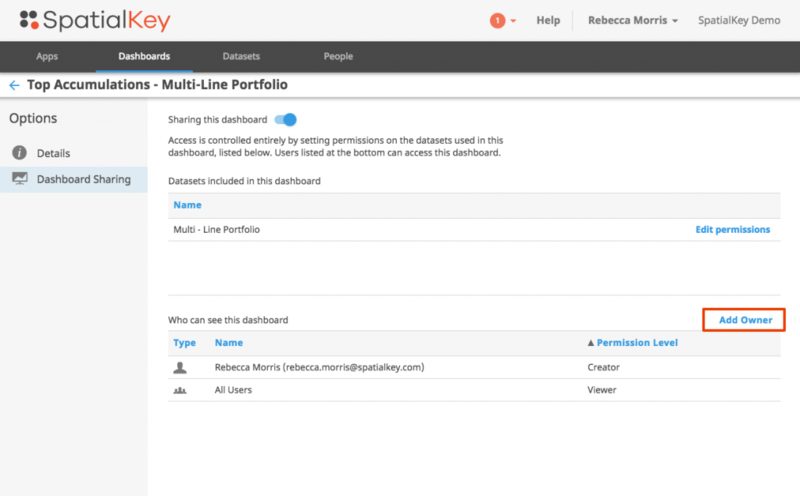 You can give individual users or groups permission to datasets – either Editor, Contributor, or Viewer. Users who imported the data are set as Creators. You know how to manage permissions on datasets now, but what do the different permissions levels mean? Here are some overview details about permission levels. Viewers can do just that… view the data. They cannot take any action that would impact that data. They can only view it as-is. If the option for “Allow viewers to export as CSV” is disabled, viewers will not be able to export a dataset. Note that they will still be able to view dashboards, capture screenshots and export analytic pods, with the exception of the record list. Contributors can disable option to “allow viewers to export as CSV”. Contributors can join and alter the column labels and formats. 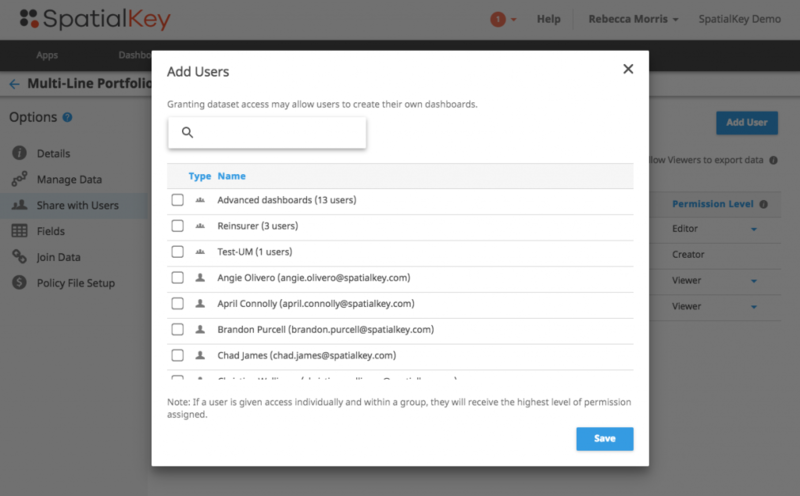 Contributors can manage data permissions for Viewers and Contributor only. 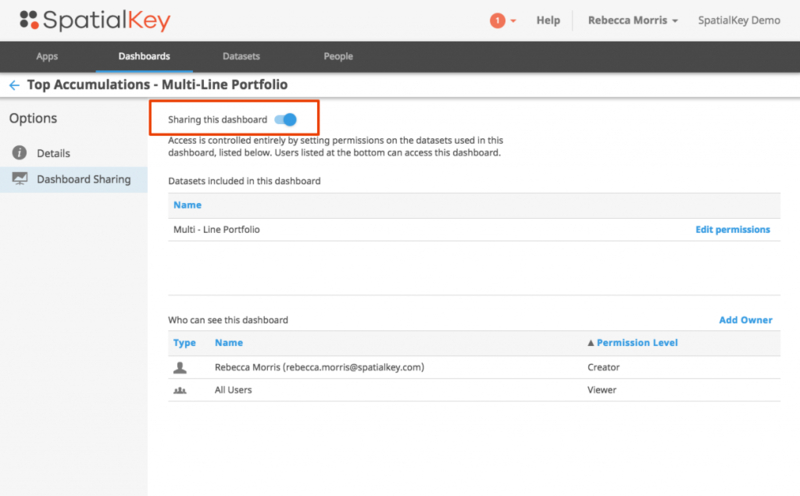 Creators/Editors can change the data, manage portfolio settings, and delete the data. Creators/Editors can manage data permissions for all users. See the table below for additional details of Creator/Editor, Contributor, and Viewer permissions. 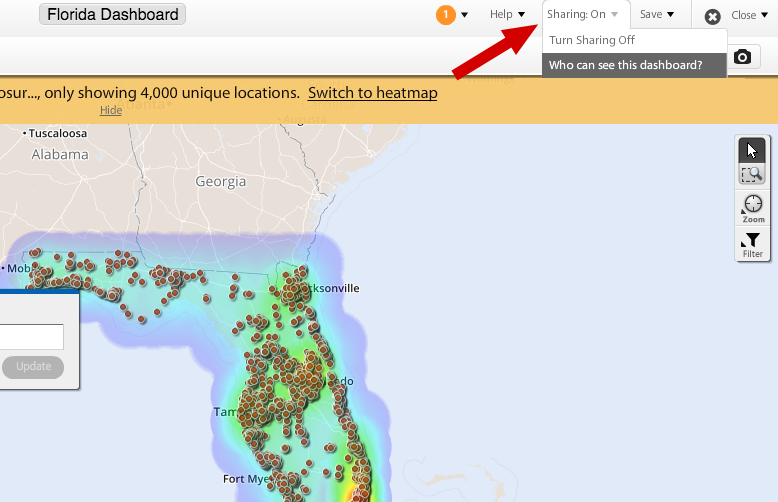 Check out the “dashboard sharing” option in the dashboard settings screen. From here, you can get a quick perspective of who can actually see the dashboard. When users are in this list, they have access to view all underlying datasets and dashboard sharing is enabled. It is possible that you want to give users permissions to edit a dashboard also. From the “dashboard sharing” screen, select the option to “add owner”. A list of users and groups will appear that can be added as owners.